My interest in “Reading the City” has happily continued to grow over the past few years. While it is somewhat analogous to reading a text, for instance, in order to understand, the objective of Reading the City focuses on the interpretation of the “reader” who will read between the lines towards a greater sense of ownership and desire for positive change. Simply, understanding the environment prompts changing it. But it is important to note that in many ways, a greater awareness of space and the environment we inhabit, in itself constitutes a change. After taking Anne Spirn’s class (Urban Nature, MIT 2009), I was inspired to bring my interests in “Reading the City” to a younger audience. Last fall, I got the opportunity to do just that in a class I developed at Orchard Gardens in the neighborhood of Roxbury, Boston, through Citizen Schools City Building After School Program. (In implementing the lesson plans I collaborated with Ben Peterson, RISD and Shreiya Madhusoodanan, BAC.) 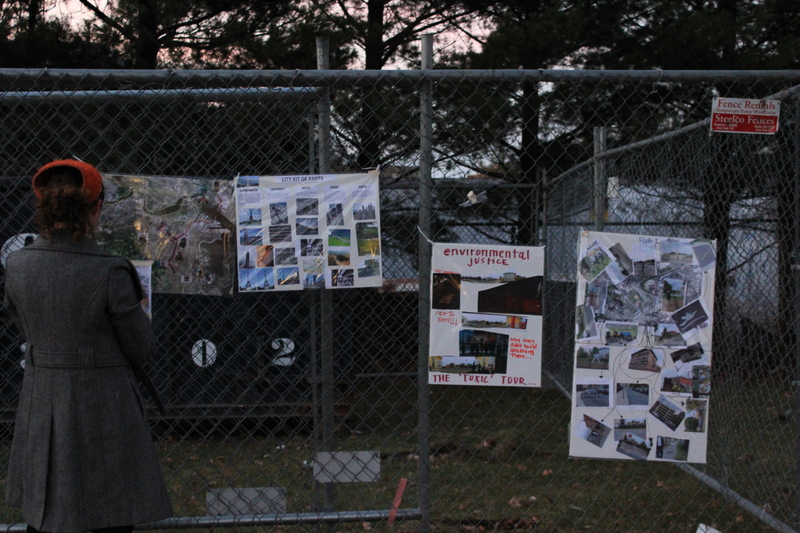 Alternatives for Community and Environment (ACE) just blocks from Orchard Gardens Public Schools provided a valuable tour of the Toxic Sites in the area providing concrete and all too tangible reasons regarding the value of knowing your city and striving for environmental justice. Some general remarks about the outcome of all the City Building groups across Boston appeared in real text here. 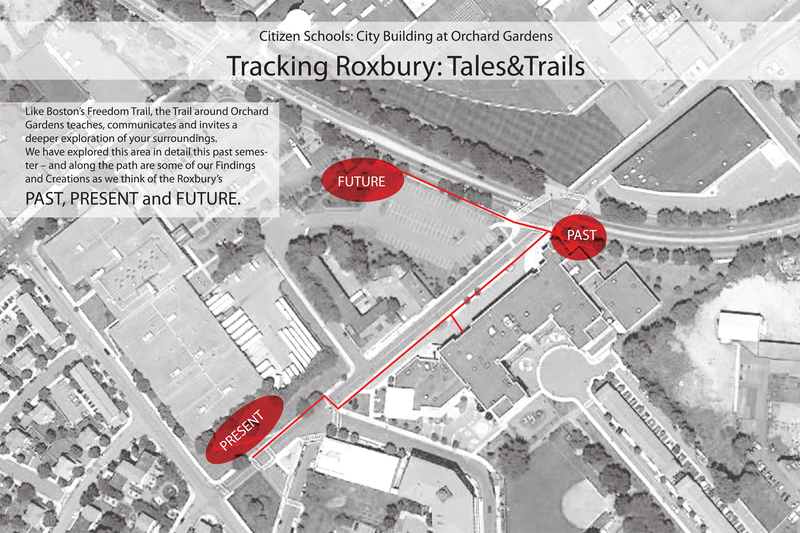 The class was called Tracking Roxbury: Tales&Trails. It met Tuesday afternoons from 3:50 – 5:20 on the second floor of Orchard Gardens School in Roxbury, Boston. 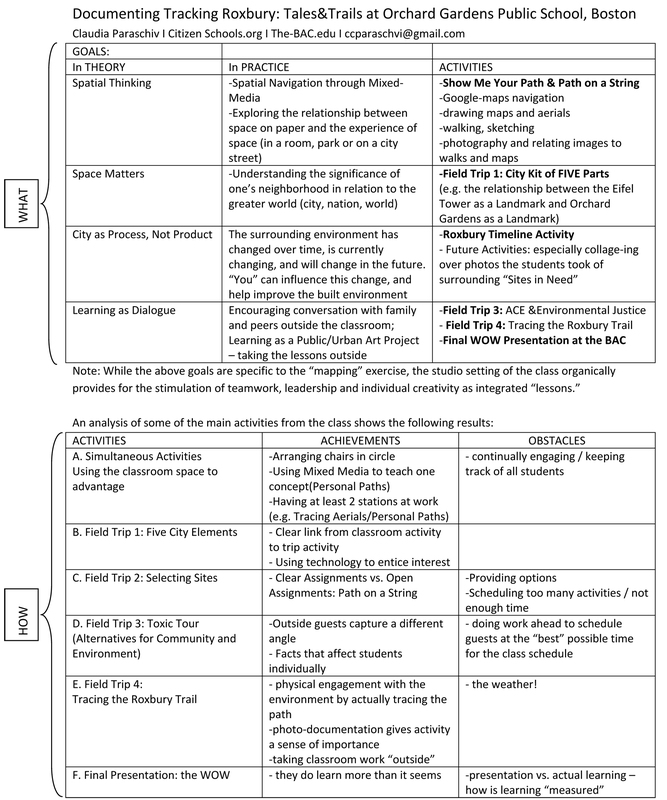 Tying together my interests in mapping and using the city as a text and laboratory for exploration, I developed a syllabus for another nonprofit organization when the opportunity to work with Citizen Schools presented itself. I was especially interested in teaching a class that focused on design process and understanding urban space, rather than creating a concrete design product. 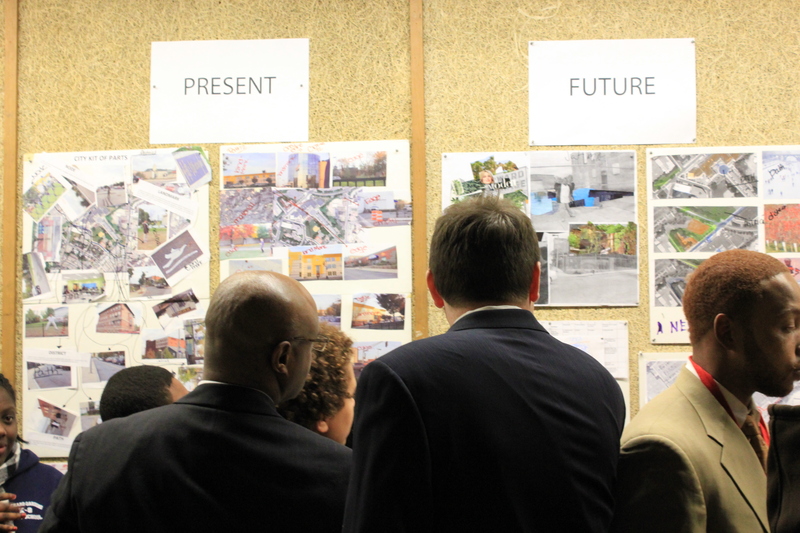 The class was under the umbrella of City Building and many of the classes presented a clear design challenge: design a park, design a café, etc. 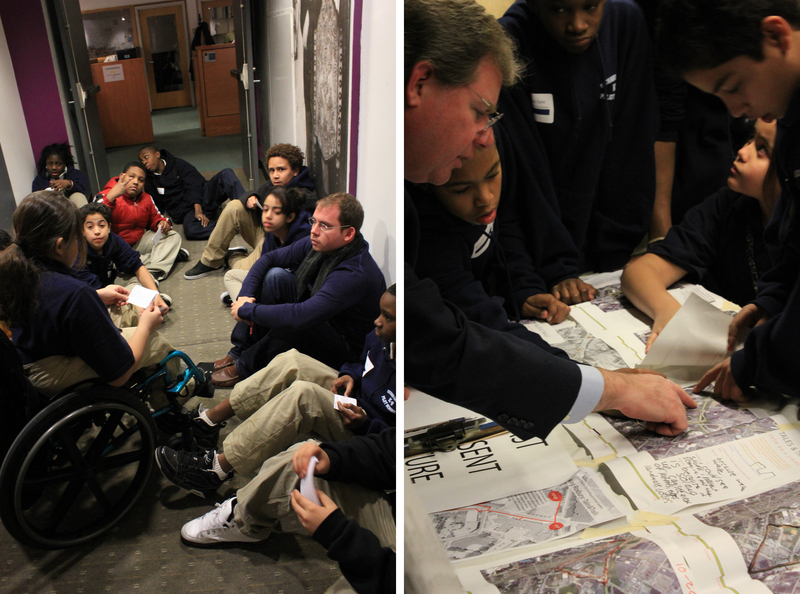 However, I saw the class was as an opportunity to explore why understanding urban space first, and really providing tools for “Reading the City,” were just as valuable as creating a design. I think it important to demystify space; this is especially true for an area perceived as a “ghetto.” It is the way it is because of policy, economics and many big and small decisions that can be somewhat understood. 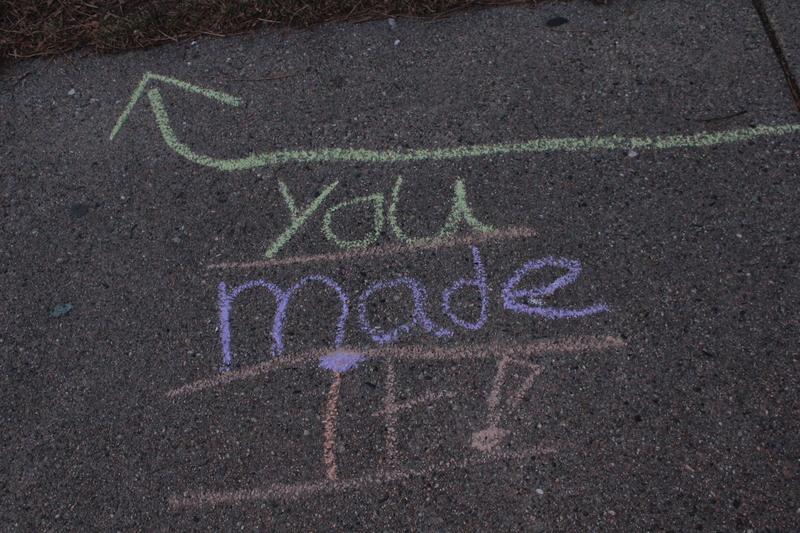 More importantly, it shows that the place is constantly changing, and the students can be a part of the change. From the beginning, I wanted to create a situation in which field trips and exploration of the immediate surroundings would inform class activities. In turn, these class activities could help inform how the students explore the outside environment. Because the actual content of the class seemed to build upon the experience of each particular class, the class could develop organically with the students’ responses as key clues to direct the progression. 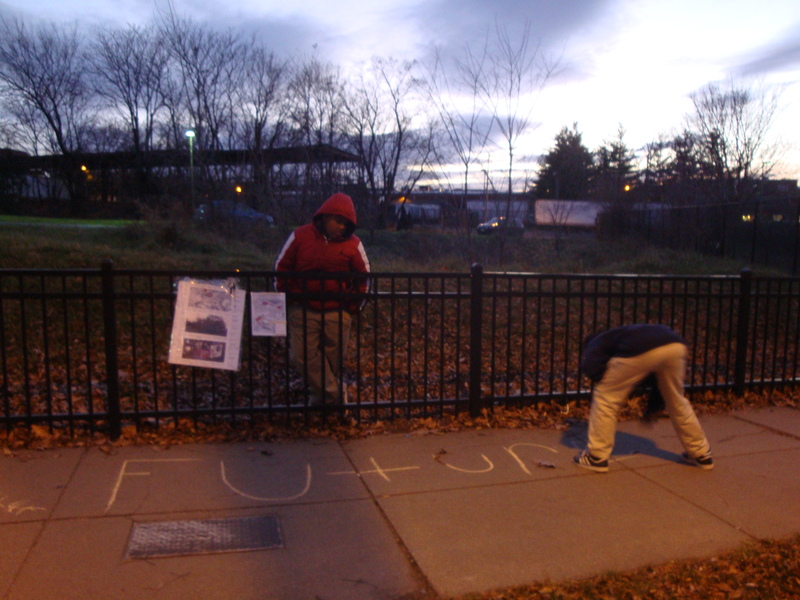 The two things that were certain were the geographic limits of the surrounding environment and the use of Past, Present and Future as methods by which to analyze the surrounding environment; through this approach the students could look at the history of area (the past), analyze the current situation (the present), and from there, develop a more informed image for improvement (the future). The project was interesting for me. And, after the final presentation, and hearing the students talk about what they learned, it seems that they too gleaned some value from the experiment. It is of course difficult to gauge, as many teachers tell me. But, after this experience, I value experimentation in education more and more.